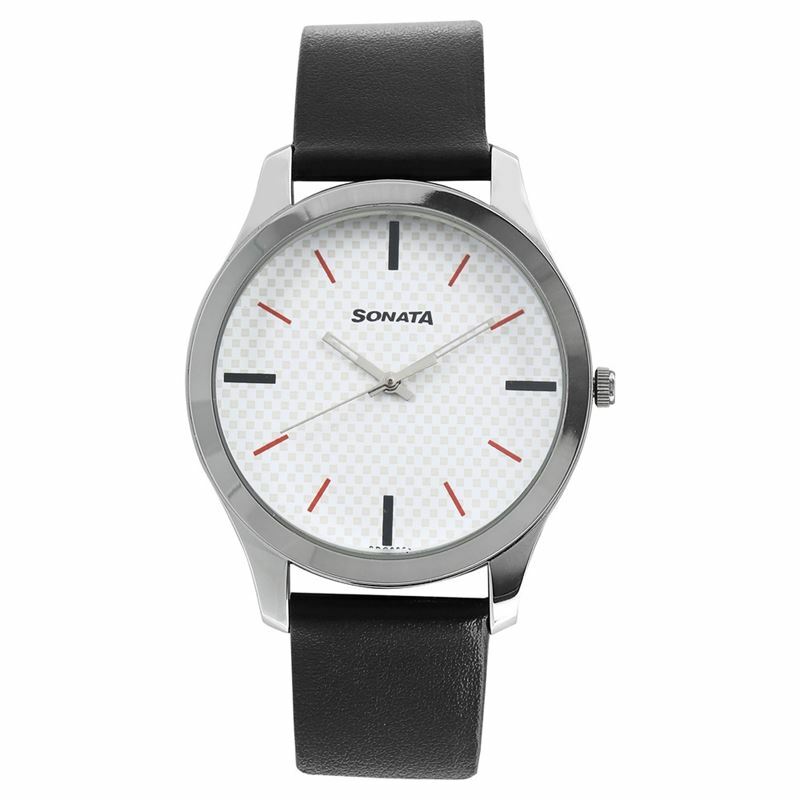 A pure white dial, a contrasting black, leather strap, and a mind-blowing style that impresses effortlessly make this Sonata NXT watch well worth your time. The white minute hands and a combination of black and red numerals against a designed dial base, this watch brings you classic styles that a modern man will appreciate. Pure, clean lines of this timepiece complete with the classic Sonata logo across the dial base accentuates your ensemble.